Want to see your colleagues at their most colourful? 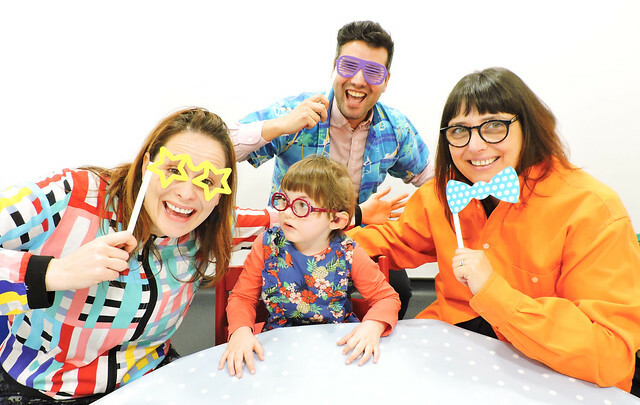 Suggest wearing your loudest shirts to work on Friday 7th June 2019 to help give deaf children the opportunity to listen and speak as equals among their hearing peers! Register to order our fundraising pack full of loud materials to help your workplace understand more about deafness and its impact, along with fun ideas and helpful tips to assist you in running a successful day. Get more social with your colleagues and raise money for AVUK! Why not test your hands at mixing cocktails for your co-workers? Car share or cycle to work, be friendly to the environment, yourself and ask your boss to sponsor you! If you enjoy baking, try making some delicious treats and have a bake sale. Have a quiz night, ask everyone to donate £5 and test your knowledge! Swap your old wardrobe for a new one, have a clothes swap with your co-workers, donate £2 for every item you take! If you’d like further information on how to participate click here or to register click here. Please post on social media using the tag #LOUDshirtday or email us a photograph of your workplace getting loud to create a sound future for deaf children!